From the very beginning the tank had to be well-camouflaged, first when it was a secret weapon and then later when it advanced on to the battlefield. 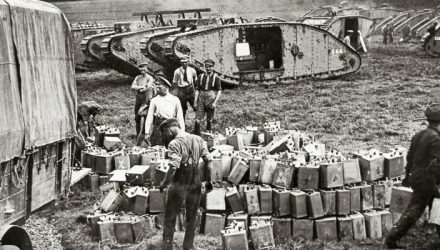 At the outset, as a means of disguising their purpose, each tank had an inscription in Russian painted on it which, with one spelling mistake, read ‘with care to Petrograd’. This painting by the artist John Hassall shows a tank, we think, finished in the Solomon camouflage. Later on, while they were at Elveden, the society portrait painter Solomon J. Solomon, then serving as a Lieutenant-Colonel of Royal Engineers, was ordered to paint the tanks in camouflage colours. 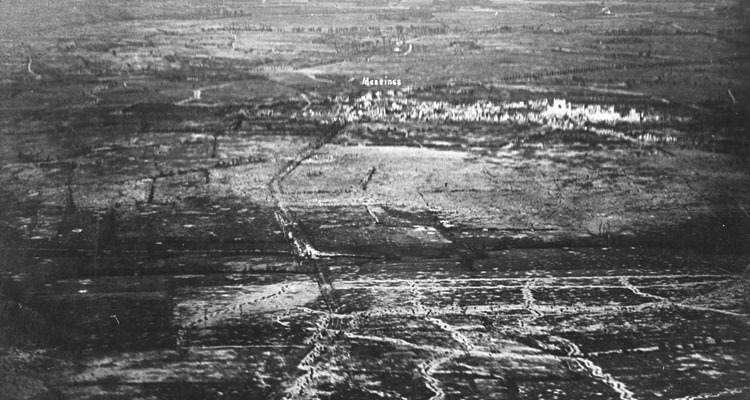 Swinton says that he arrived at Elveden with tons of paint, but one tank commander, Lieutenant Basil Henriques says that he and his crew were ordered to paint their own tank. They were made to copy the pattern devised by Solomon and already painted on one tank, probably Mother. Author John Glanfield says that Solomon’s scheme might have suited sunset in Sherwood Forest but not the Western Front in France. 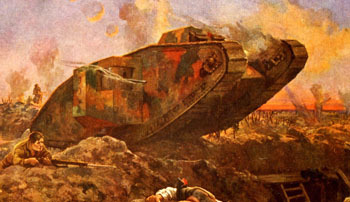 According to Henriques they were made to repaint their tank in more sober colours when they got to France, patches of green, brown and ochre outlined in black. 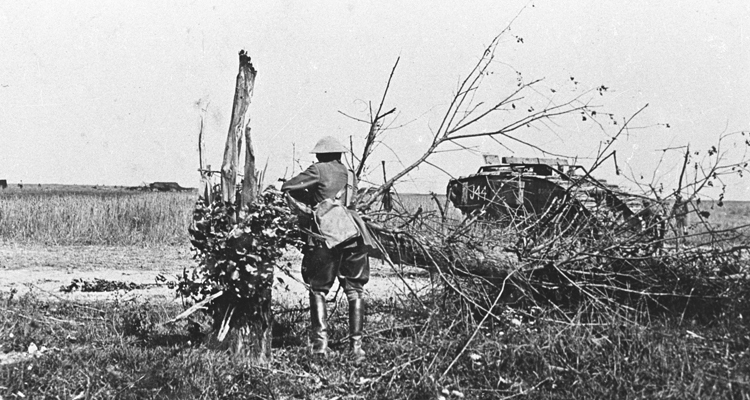 However it is clear that not all tanks in France were painted this way, there were other variations on the camouflage scheme and tanks were even seen with the original Russian inscription still visible. After being in action for some time tanks became plastered with mud until the original camouflage pattern was obscured. 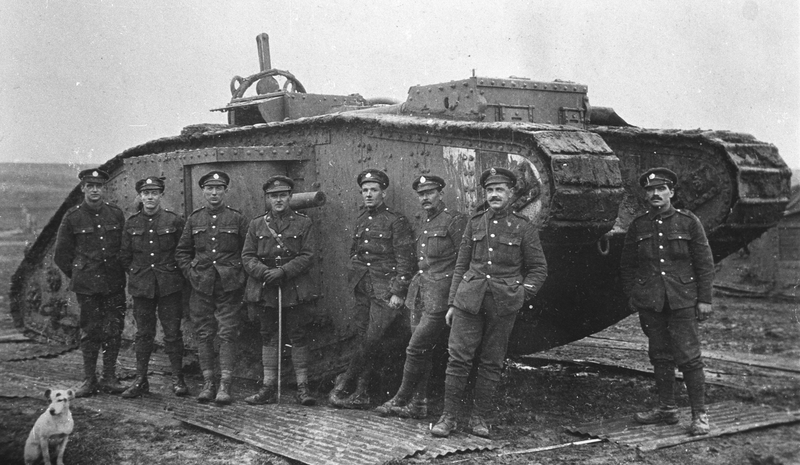 As such, from about December 1916 onwards all tanks were painted overall in khaki brown and camouflage as such virtually vanished. Another artist, Ernest Percival Tudor-Hart, also devised a multi-colour camouflage scheme. 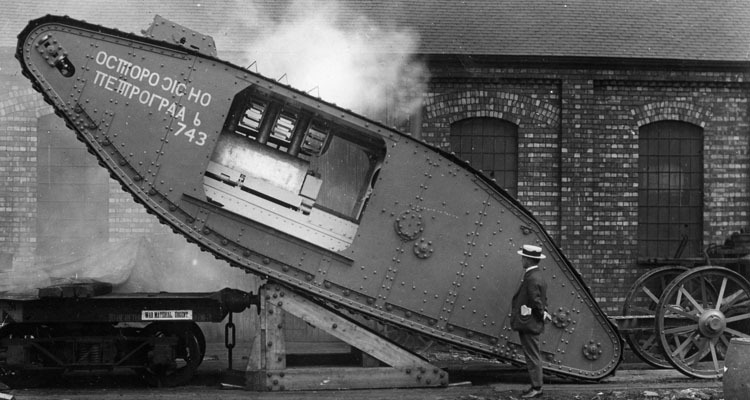 This is shown on a model in The Tank Museum collection but as far as we know was never applied to a real tank. 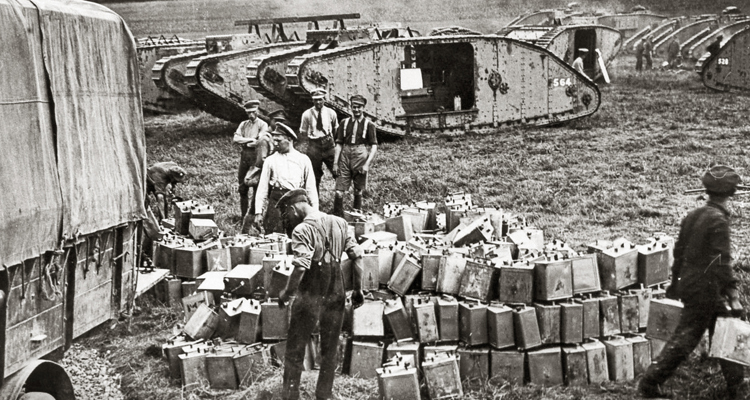 I grew up near Hatfield park which had a WWI tank there for years. It was given back to the museum and, I beleive, re furbished. The only colour on it was rust, inside and out. I spent many happy days playing in it.